College football is serious business in the South, and the Centennial Park District is the city's playground for football fans. 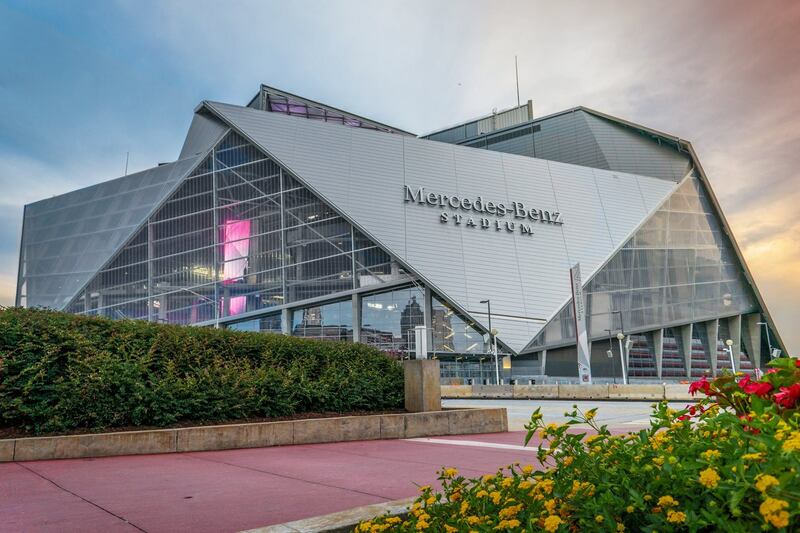 The Mercedes-Benz Stadium, where this year’s Chick-fil-A Peach Bowl and College Football Playoff National Championship will be held, is in our backyard. Grab a beer and a bite before or after the game at our many local eateries and watering holes before unwinding for the night at one of our comfortable hotels... all without getting in a car. Come for the game… stay for the fan experience! With numerous interactive exhibits and games including the Chick-fil-A Peach Bowl SkillZone, fans can experience the history and tradition of college football in a truly unique way, all at an exclusive discounted rate. Bowl Week and the Atlanta Hawks are Live from Downtown! Enjoy a night of Hawks basketball and Chick-fil-A when the Hawks take on the Portland Trailblazers on Saturday, Dec. 30th at 7:30 p.m. at Philips Arena. Join us as we honor members of the Hall’s newest class on New Year’s Eve by presenting each inductee with a commemorative glass blade in recognition of their achievements. With more than 10 million gallons of water, fans will get to see tens of thousands of exotic and local marine life as well as enjoy some food and beverages, while mingling with other football fans. Long regarded as the official kickoff for game day, the Chick-fil-A Peach Bowl Parade presented by Lions Clubs International spreads football festivity throughout downtown Atlanta. Serving up food, interactive games, entertainment, official limited edition merchandise, giveaways and more, FanFest is the ideal opening act before you head to Mercedes-Benz Stadium for kickoff. Three days of star-studded performances will take place during championship weekend’s AT&T Playoff Playlist Live! concert series in Centennial Olympic Park. The three-day, family-friendly event includes games, clinics, pep rallies, band performances, special guest appearances, autograph signings and exhibits celebrating college football and its history. The Extra Yard 5K is the official road race of the College Football Playoff. Registration includes two tickets to Playoff Central, a participant shirt, finisher's medal and entry into a drawing for game tickets. Championship Tailgate Plaza is the gathering place for fans who want to experience extreme tailgating at the College Football Playoff National Championship. Don't forget about important safety and bag policies for both these games! Visit chick-fil-apeachbowl.com and atlchampgame.com to learn more.